Women in the Law: In Conversation with Shanell Parrish-Brown | Blog | Ms. JD | Determined to Rise. Shanell Parrish-Brown, Esq. is a dynamic legal practitioner with over twenty years of diverse legal and corporate management experience including eight years as a corporate strategic manager and the last sixteen years as a Labor and Employment legal practitioner. I sat down with Shanell to ask about her career path, challenges and triumphs as a corporate attorney for Viacom. Tell us about your role at Viacom. I have been with the company for eleven years. As Vice President, Employment Counsel with Viacom Media Networks, I provide advice and counsel which centers around risk assessment on employment issues. I address questions related to corporate policies, workplace misconduct, and employee issues within the context of various employment laws including Title VII, ADEA, FMLA, ADA, FLSA, business driven job eliminations, immigration issues, and many others. In addition, when employees raise concerns, I am responsible for providing counsel to human resources and management with respect to those concerns in the context of employment laws. What are some of the reasons you decided to become a lawyer? I recognized around junior high that I liked public speaking and heard often that I possessed effective public speaking skills for someone of my age. A notable experience was the moot court program I participated in during the seventh or eighth grade through Columbia University Law School. I enjoyed several months of a moot court process where I learned the nuances of a court case, received insight and practice in compelling advocacy – and found it fun! However, even with that experience, I did not think about law school until I was in my mid-20s. I attended college at night and worked at a large corporation during the day. In my HR management position, I received my first exposure to the role of an employment lawyer, as I was the intermediary; as an HR professional, I collaborated with employment lawyers for guidance. At the end of my tenure at the corporation, I was pregnant with my first child and grappled with the decision of staying with the company, which was going through significant changes. By that time, I was 26 years old with 13 people reporting into me. I saw myself growing in that role. Nevertheless, in the meantime, I had been applying to law school. After gaining law school admission, I began to envision connecting my years of experience in the corporate environment to my potential opportunities post-law school. The career opportunities available to me with a law degree were inviting and the prospect prompted my decision to accept the new challenge. The point in which I decided to go to law school is a moment where I re-invented myself or as I now prefer to say, seized my power. My favorite part of the job is when internal clients articulate that I have been helpful, because I struggle with whether this work valuable. Although I know it is important work, this is not brain surgery. That self-awareness enables me to continue to exhibit a healthy and diligent work ethic, always advocate for myself, while also giving myself a break when I need to. Who were your mentors and role models? How did they inspire your career path? The executive that oversaw my department during my pre-law school corporate tenure was a sponsor in my career there. He saw things in me that I did not see in myself. After transitioning from that career path into the legal path, it became difficult to identify whom, if anyone was sitting “at the table” speaking on my behalf. Prior to making the decision to accept my law school admission, I received job offers within the company due to the reputation and connections I had built. I had been pursuing my undergraduate degree for 9 years at this point – and simultaneously climbing the corporate ladder with the help of a sponsor who believed in me. Yet, I decided I wanted to reinvent myself and attain a skill-set where no entity nor person would have the power to end my career or my ability to make a living. I wanted a skill-set that enabled me to make decisions. My then sponsor affected my career growth by being an outspoken advocate for me, and consistently presenting me with opportunity and access to try new things within a massive corporate structure. I also had and still have a supportive husband – who also inspired my career growth because his support gave me the ability to take risks, i.e., quitting a great job and taking on the role of a full time law student with a newborn baby at 27 years old. Again, it was probably one of the two times in my life where I decided to seize my power. What is the difference between a sponsor and a mentor? A mentor is someone that is good to have and knows you very well, someone you can reach out to and talk to about anything; a mentor is someone that you trust. On the contrary, a sponsor is someone you MUST have; a sponsor is someone who will carry your name in a room you are not in, and likely rooms that you do not have access to and spend their political and social capital on you. A sponsor will advocate on your behalf. Your sponsors do not have to look like you and often times they will not. 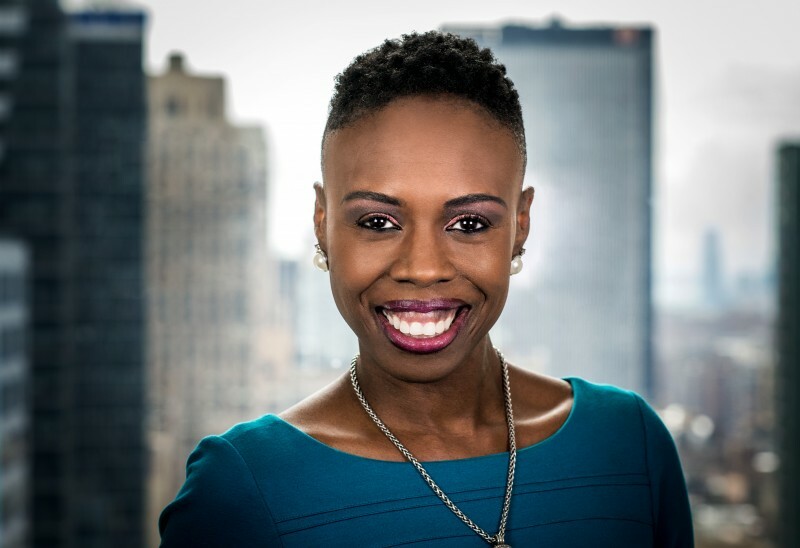 I recommend you listen to a motivational speaker, Carla Harris; she is a leader in the financial services industry. I saw her speak at the Corporate Counsel Women of Color Conference and her talk on this subject really resonated with me. Carla explained that in life, there are two types of currency; one is performance currency, which is worth about $1.50. Early on, performance currency will get you noticed, but it is only worth a small amount because it diminishing value. You need to have relationship currency because relationship currency will be more sustainable. When I think back to my pre-law school years, my sponsor would say to me, “Shanell, I see you managing organizations - you are a leader and you have a unique currency in that leadership is intuitive to you - you just know how to do it.” He made sure I had access to those opportunities, which was rare – particularly for young African American woman, with an undergraduate degree in progress. Fortunately, having the experience of a sponsor advocating for me early in my career augmented my confidence early on, and it was a good cushion. Law school was challenging for me and became a humbling experience. However, my work ethic and perseverance validated me, and ultimately passing the NY bar exam. Do you think that being a woman of color has influenced your career path in some way? Being a lawyer and woman of color is impactful. I have often heard from younger attorneys that seeing a woman of color practicing law is inspirational. More importantly, the ability to walk in my truth and speak from an authentic place about my life experiences makes it even more impactful. Specifically, doing the work I do for a large corporation, I have struggled with whom that value is benefitting. Since I felt comfortable in a corporate environment from an early age, the practical reality of my comfort zone was that I would be defending a corporation and not "working for the people." It took me some time to recognize and understand that within every legal practice area and side of the bar, the profession needs attorneys of color that come from varied backgrounds and experiences. My youngest daughter recently said, "I think I want to be a prosecutor.” I was thrilled. I think it is important to have someone who is looking at every issue, particularly criminal justice issues, through the varied lens of a person of color. You spoke about the struggle you had when prospering in a corporate environment as a lawyer and how this felt antithetical to “working for the people.” What do you do to get over that? I figure out other ways to feed my spirit. I have a very specific body of interest, which includes youth empowerment and domestic violence issues. Therefore, those issues drive me, which is why I am always willing to speak. That is how I feed my spirit. You spoke about some of the issues that fuel you. Would you mind giving me insight on what inspired you to be involved in these issues? I grew up in a household with two parents; a mother who was strong, positive, supportive, and stayed committed to her goal to give me the self-confidence and self-esteem that would propel me to accomplish whatever I wanted to do in life. On the flipside, this same household was replete with domestic violence issues. I watched my mother living two lives; she was an amazing mother in many ways, but she was also a battered wife. One of the reasons why domestic violence work is important to me is because I know it is imperative to speak to women and young people about finding their strength to persevere – as I am a woman that did just that. My life experiences connect me to the issues that fuel me. What is your definition of a ‘lawyer’? A lawyer possesses the legal jurisprudence to advocate on the behalf of something or someone. Many people need advocacy. Lawyering is all about advocacy, and when you are a lawyer, this is a skill set that no one can take from you. With legal training, one has the intellect to advocate, by any means necessary. What do you think of when you hear “women in the law”? Women are strong. Women bring creativity to all that they encounter. I also view women as extremely fluid beings. For me, women in the law equates to incessantly moving power and creativity. If you could advise a younger Shanell before she started her career, what would you say? Know that every experience, and every challenge, even the unbecoming ones, are gifts pre-ordered by God, to prepare you for a greater challenge forthcoming. Embrace them as such. Also, take out as little student loans as possible.